Wellness 4U – MERIL – Helping People with Disabilities Live Independently! MERIL’s Wellness 4 U Program was recently featured in a case study completed by the Centers for Disease Control (CDC). MERIL formed a Wellness Team in late 2012. Early in 2013 we were invited to apply and approved for participation in the National Healthy Worksite Program. Different communities across the USA were selected to join. With 51% of MERIL employees experiencing life with a disability, we had our work cut out for us. It has been our endeavor to find ways of inclusion for everyone. 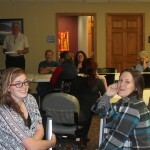 We utilize a small budget to provide resources, incentive items, and speakers to run the Wellness program. We completed baseline assessments in 2013 followed by the evaluation of results and setting of goals for our employees. Each year, we conduct health risk assessments. After the results are received, new goals are set, and we work on those through the year. We were successful after the first 2 years to reach goals of reducing high blood pressure, increasing fruit and vegetable intake, and increasing activity levels for all persons. We also tripled our score in Organizational Supports, which reflects the committee’s work. Our employees have participated in activities and competitions including Office Olympics, Checklist Challenges, Electronics Free Family Fun, Hydration Project, and Healthy Potlucks. 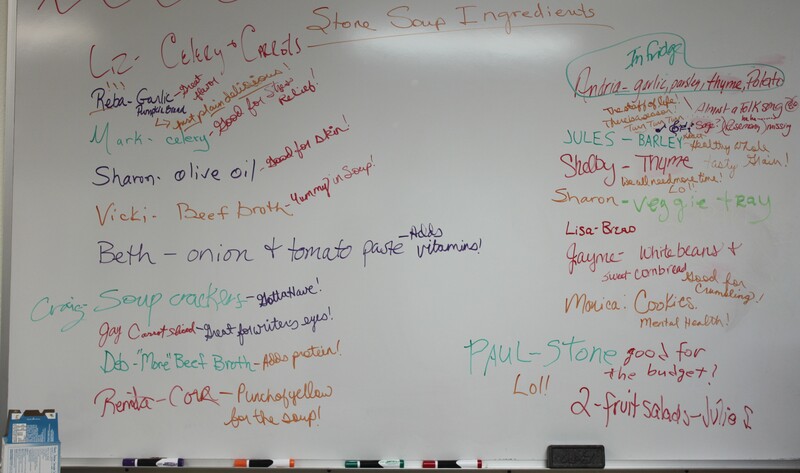 Our next events include Stone Soup, an event when staff bring in a healthy ingredient to place in a soup. Starting in January there will be “A New Year, A New You” contest as we work on our goals for reduction of stress and increasing health benefits. We are moving forward to reduce stress by including healthy presentations, community meals, sharing of recipes, and ways to exercise for people of all abilities. The CDC team shares ideas with us and they in turn support our cause. Our mission is to empower everyone, employees and all participants on our programs to become more mindful of their health. 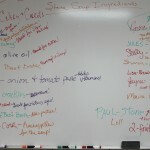 There are many simple ways of maintaining or improving your health and lots of resources to assist you. Join the MERIL team in improving your health! 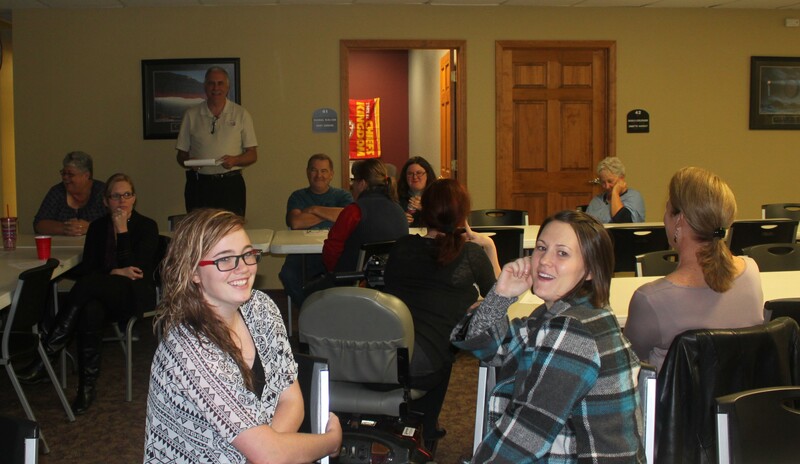 MERIL’s Wellness 4U committee hosted a lunch featuring “Stone Soup” for all employees. The concept of “Stone Soup” is an old folk tale where visitors come to a community and everyone shares the little they have, and feed everyone. In addition to a great meal and good company, we were treated to an exercise in Guided Imagery! You’re only limited by your imagination! (3/9/16) MERIL’s Leadership Team wore green in honor of Kidney Awareness Month and Cerebral Palsy Awareness Month. (2/10/16) MERI L’s Leadership Team wore red in honor of American Heart Month. (10/20/15) MERIL solutes the strength and courage of those who have battled or are battling breast cancer, and encourages everyone to “Think Pink” in the month of October to support efforts to improve detection and treatment, and some day eradicate breast cancer.